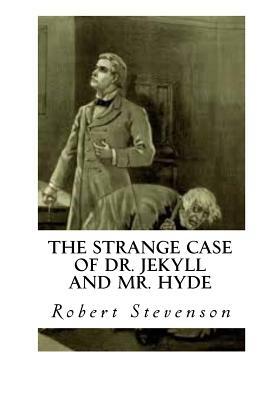 The Strange Case of Dr. Jekyll and Mr. Hyde by Robert Louis Stevenson Strange Case of Dr Jekyll and Mr Hyde is a novella by the Scottish author Robert Louis Stevenson first published in 1886. The work is commonly known today as The Strange Case of Dr. Jekyll and Mr. Hyde, Dr. Jekyll and Mr. Hyde, or simply Jekyll & Hyde. It is about a London lawyer named Gabriel John Utterson who investigates strange occurrences between his old friend, Dr. Henry Jekyll, and the evil Edward Hyde. The novella's impact is such that it has become a part of the language, with the very phrase "Jekyll and Hyde" coming to mean a person who is vastly different in moral character from one situation to the next. There have been many audio recordings of the novella, with some of the more famous readers including Tom Baker, Roger Rees, Christopher Lee, Anthony Quayle, Martin Jarvis, Tim Pigott-Smith, John Hurt, Ian Holm and Gene Lockhart.